I never liked coloring. I got in trouble in first grade for refusing to color a picture. When my teacher asked why I'd left it blank, I replied, "It snowed so everything is white." Drawing, on the other hand, has always been fun for me. I love the act of putting ink on paper, watching the smooth ribbons unfurl behind my pen. 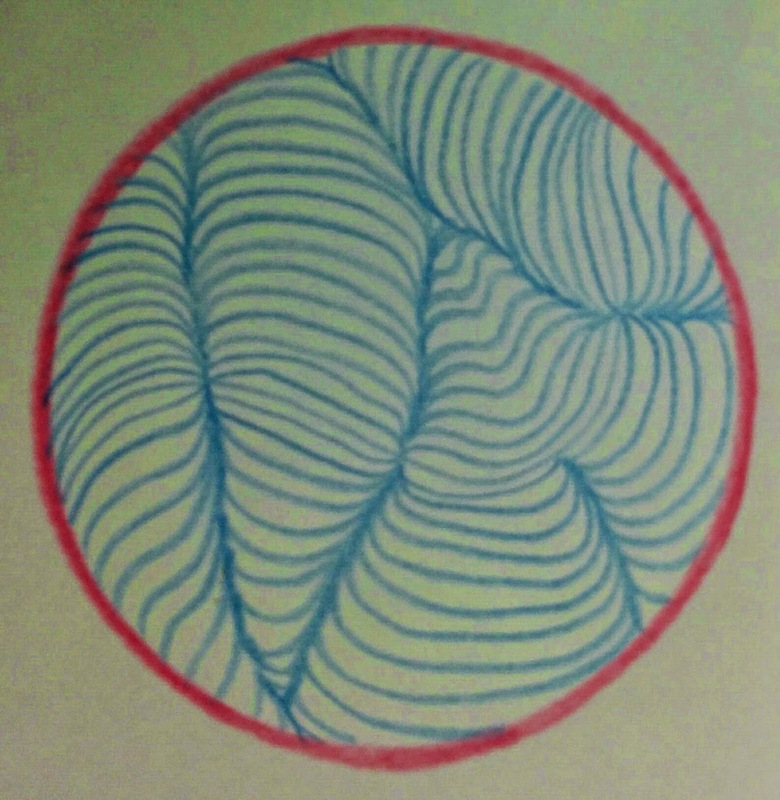 I learned this line art technique in seventh grade. 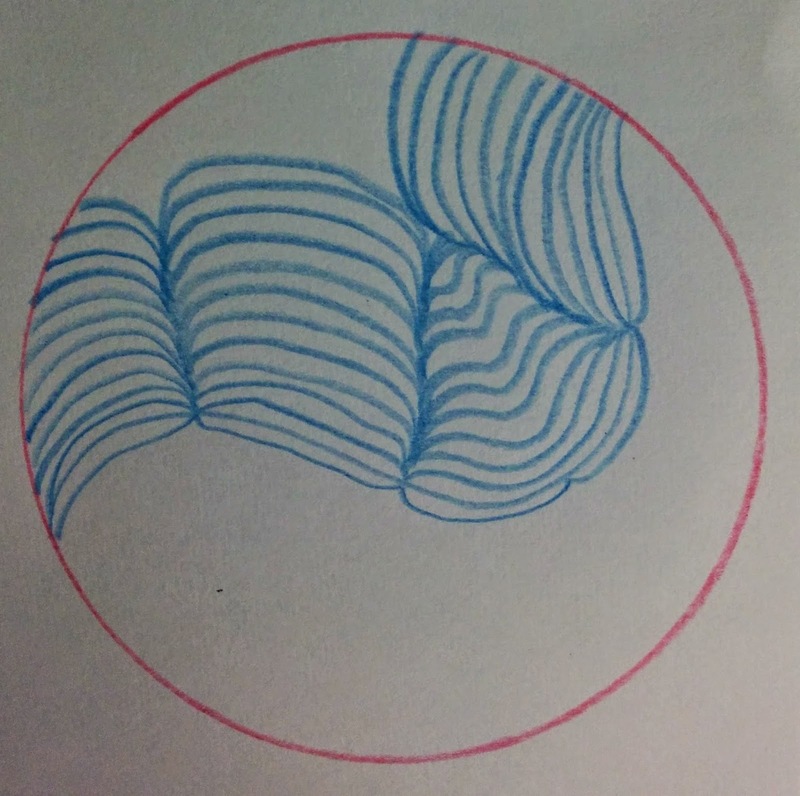 It's so simple, starting with one line, but rippling out in organic columns to fill any shape. 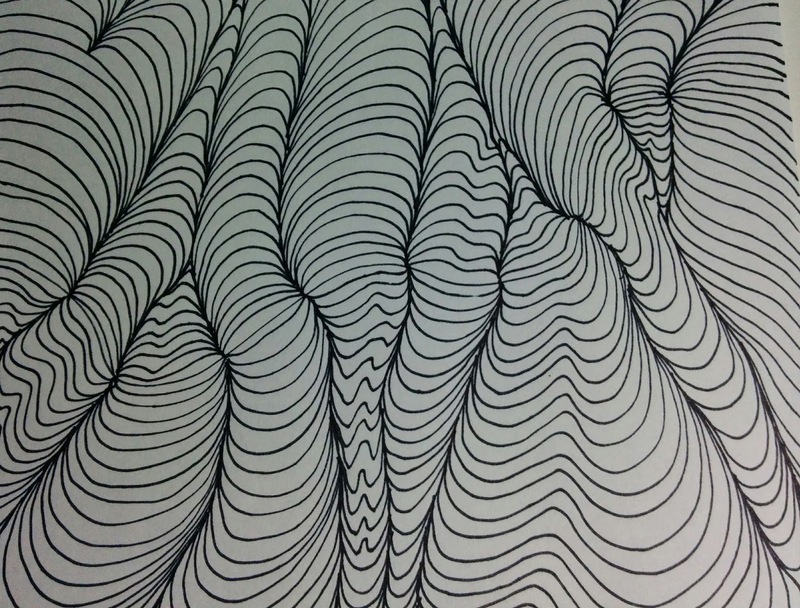 I love the undulating patterns it creates. No two are ever the same, even if you start with the same points along the line. 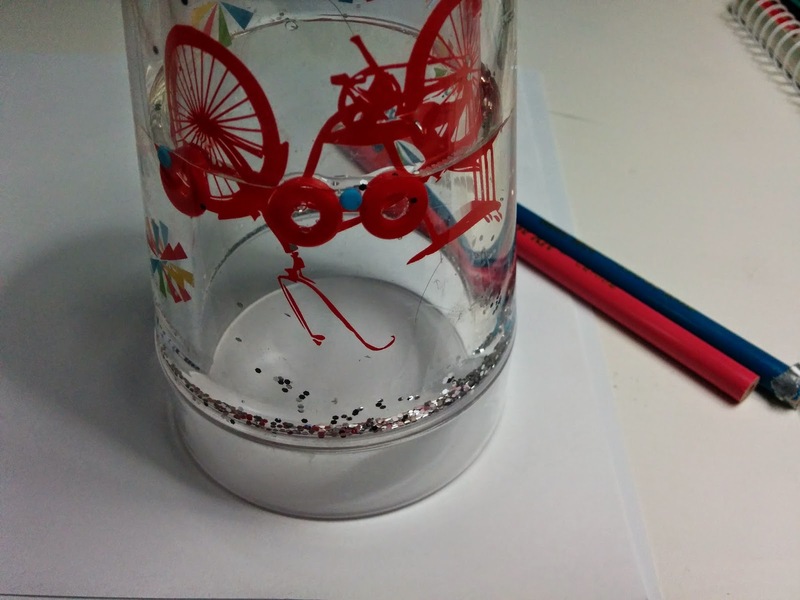 Trace an object like a cup, dish, or picture frame if desired. Or you can just fill up a page or 3D object. This works nicely on flower pots, vases, etc. 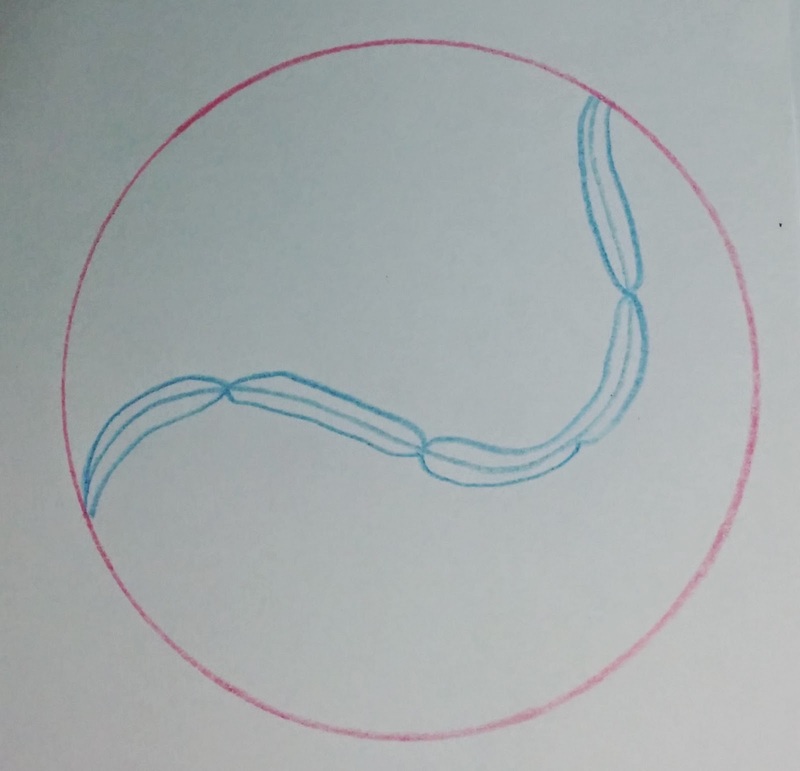 Draw a meandering line across your shape or page. This is your base line. On either side of the base line, draw anchor lines. 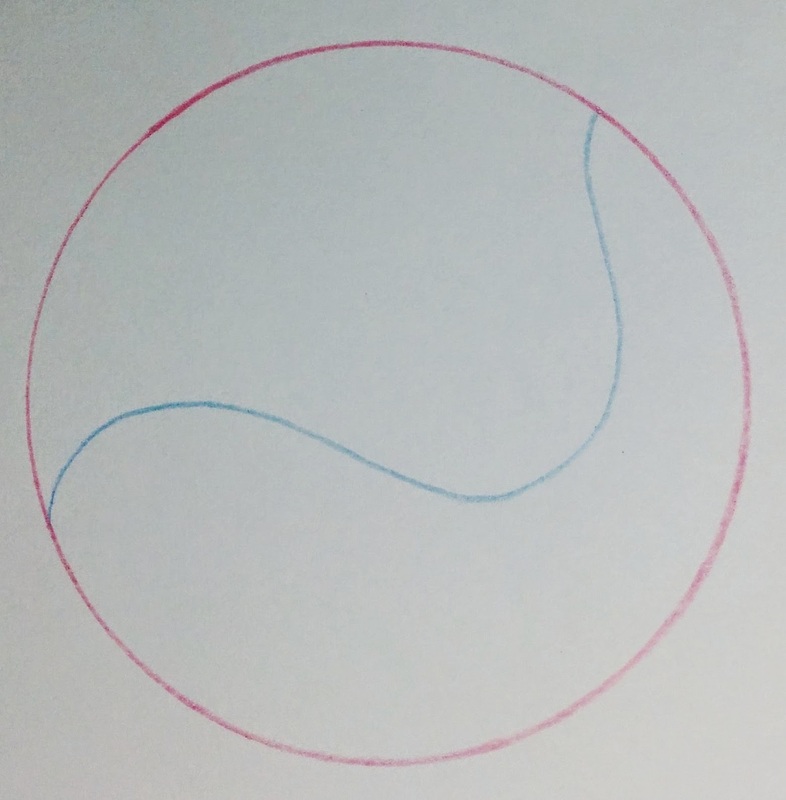 These lines dip in and touch, but don't cross, the base line in several random points. They can touch at the same points, or be different. On one side of the base line, repeat the curves of the anchor line in rows across the page. You won't be able to perfectly follow the curves, and each imperfection is amplified in the next row. Continue until you run out of room on the first side, then turn your paper and repeat on the other side of the base line. When spaces get tight, just draw as much as you can to fill the area you have left. I used this technique to make a cover page for my son's baby book. 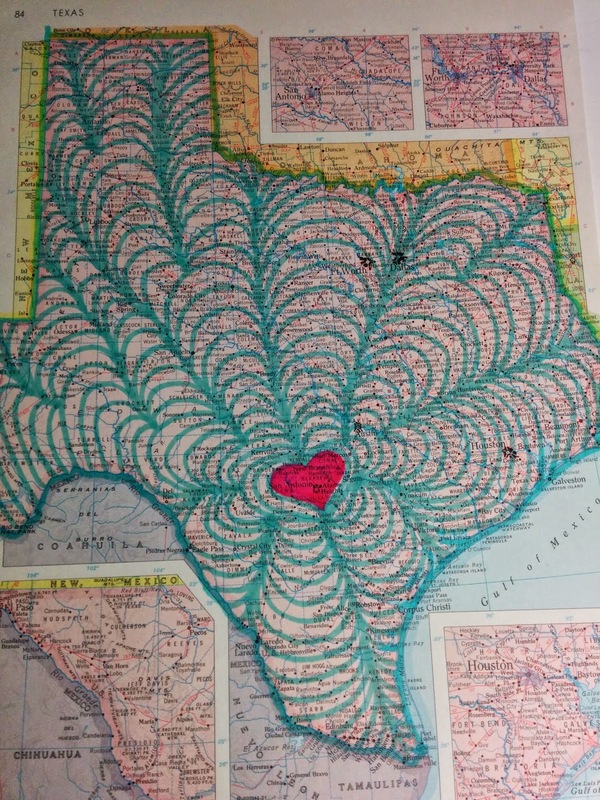 He was born in San Antonio, Texas, so I used a page from an old atlas for my shape. I drew a pink heart around the city, then radiated outward from there. I think it's pretty, but personally I like the effect you get when following a line better, as shown in the top left photo. This is also fun to do in rainbow colors, stripes of varying widths (random or repeats), and on clothes with fabric paint.